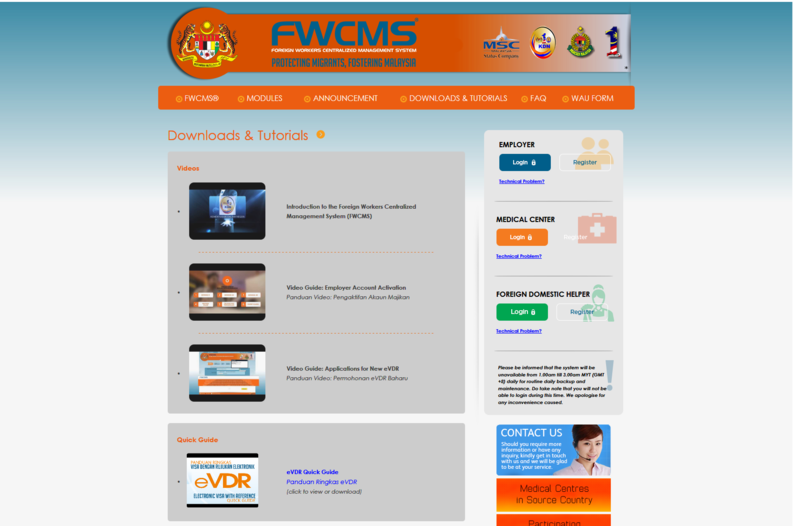 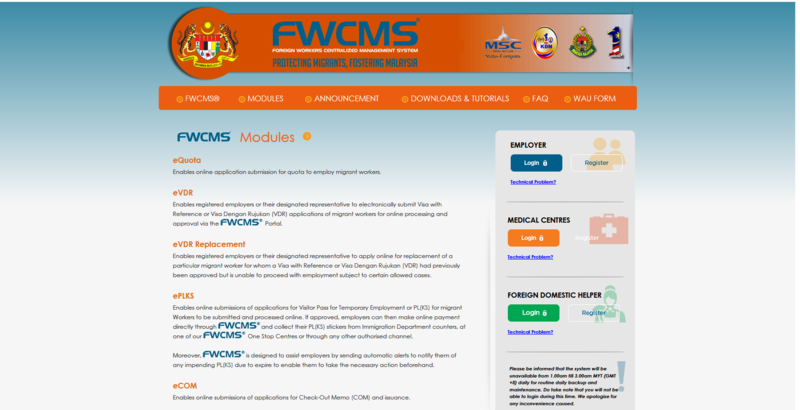 The Foreign Workers Centralized Management System (FWCMS also known as MiGRAMS) is a scalable fully online holistic system designed to assist users and stakeholders in all compliance and regulatory processes related to employing migrant workers from selection, recruitment, periodic management, monitoring, all the way to ensuring workers return safely home. 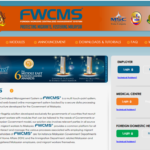 The journey of R&D for FWCMS involved enormous challenges and time frame to develop the centralized solution by collaborating with over 13 countries and its laws, regulations, customs, practices and peculiarities. 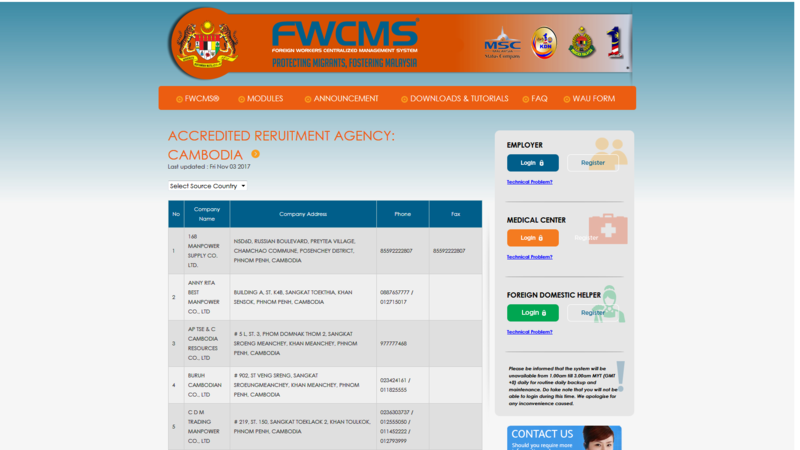 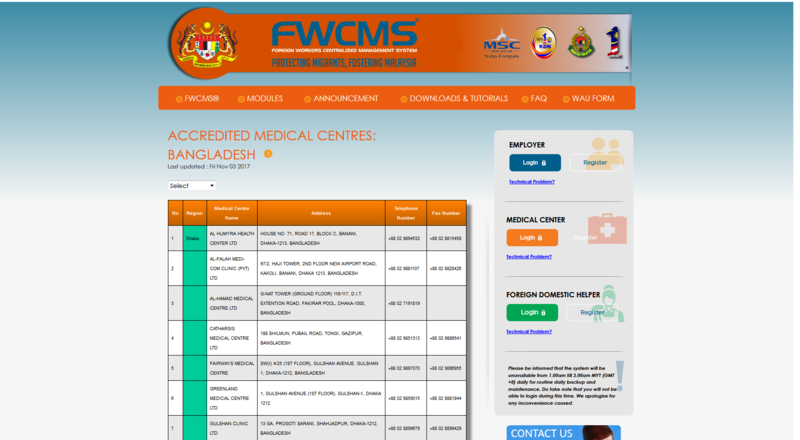 With simultaneous implementation in both source and destination countries for migrant workers, FWCMS provides stakeholders – Governments, employers, migrant workers, insurance providers, medical practitioners, etc. 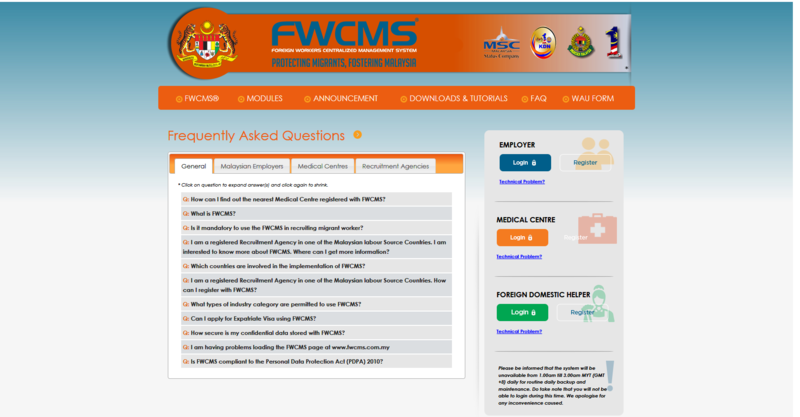 - with an efficient, simplified, effective and reliable methodology for managing, tracking and reporting on their respective migrant workforce.